We use extensively scalp EEG (either 64 or 128 channels montage) in our research and in the cap-lab. 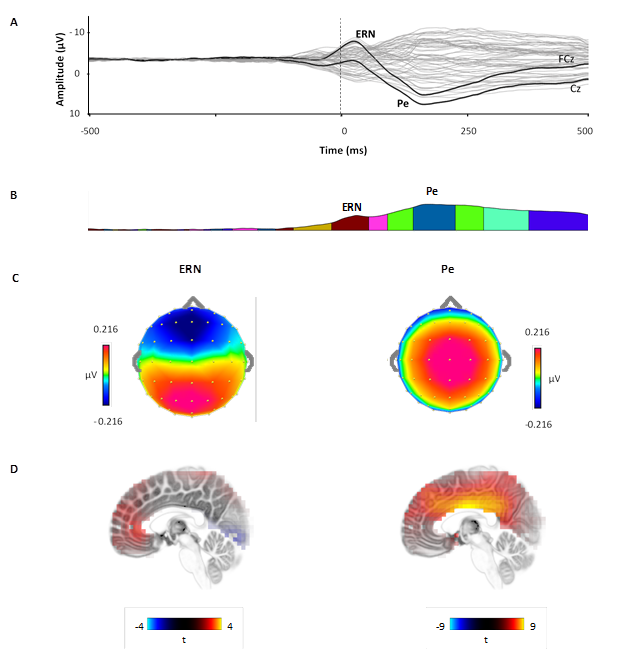 EEG povides a time-resolved neurophysiological technique enabling to explore the time-course and organisation of a myriad of cognitive processes (here with a focus on either attention or performance monitoring), with a millisecond time resolution. We mostly use regular event-related brain potentials (ERPs) that correspond to phase-locked and time-locked neural events (population level), obtained after averaging. The focus is either on stimulus processing, or response/decision making. 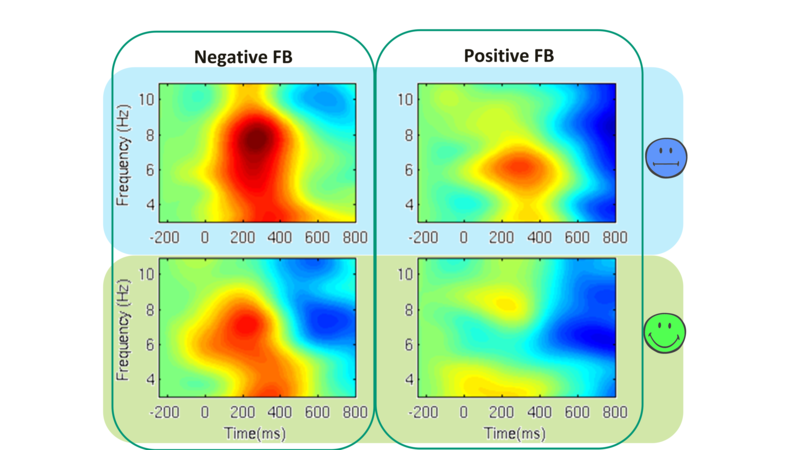 Recently, we have also started to use complementary time-frequency analyses that provide another important source of information given that the scalp EEG signal is first transformed in the frequency domain (using a fourier transform for example) before the averaging across trials takes place. This allows to capture induced effects, and not only evoked ones. Aarts, K., & Pourtois, G. (2012). Anxiety disrupts the evaluative component of performance monitoring: An ERP study. Neuropsychologia, 50, 1286– 1296.